With a magnificent ocean view and an abundance of sumptuous amenities to please the most discerning traveler, Casa Delfines offers the finest in luxury vacations. 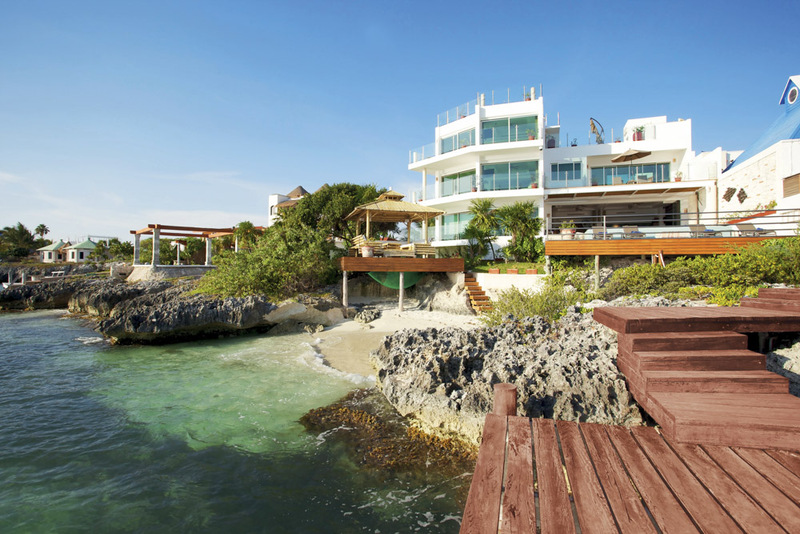 Casa Delfines offers more than 5,000 square feet of lush, elegant living space and almost 100 feet of oceanfront view, with contemporary living and dining space, modern electronics, a dramatic infinity pool and roof top Jacuzzi that can fit up to 12 people. The Villa offers a private boat dock located across the street, a perfect accommodation for guests traveling to the island to enjoy world-class sport fishing and sailing. The dock offers deep water access (2m) and dockage for yachts up to 70' feet. Located in a protected harbor, the dock offers both water and electricity. Three floors of spacious living, overflowing with imported marble and stylish furnishings. The layout affords a party of 12 both privacy and space as well as grand gathering areas to socialize and enjoy each other overlooking the beautiful Caribbean sea and enjoying vibrant island sunsets. Each of the four spacious air conditioned bedrooms boasts a breathtaking ocean view, automated shades over the floor-to-ceiling windows, and the finest furnishings and linens. Each bedroom is appointed with a flat screen TV, imported marble counter tops, large walk in showers, plush bathrobes, Bvlgari bath products and security safes. Upon entrance into the security gate, prepare to be dazzled by the splendor of the three level villa with a grand entrance, flora and fauna and a private soccer field! As you approach the entryway, be prepared for panoramic ocean views that will take your breath away. The spacious living and dining area open up to a pristine infinity edge pool, a sumptuous oceanfront gazebo, and a dock leading you right to the ocean’s edge. You will be greeted by a gracious staff member who will welcome you with a smile, assist you with your luggage, answer your questions and assist with any of your travel needs. Each level of the villa offers a new and exciting view, and when you arrive at the rooftop terrace, you will know you have truly arrived in luxury. Indulge your senses with majestic views of the expansive jewel-colored ocean, sensuous ocean breezes and the tranquil sound of waves. In addition to the five star location and amenities in and around the villa, you are merely steps away from a five star dining experience and exclusive spa facility at Hotel Villa Rolandi and Spa. Discriminating luxury at it’s finest. 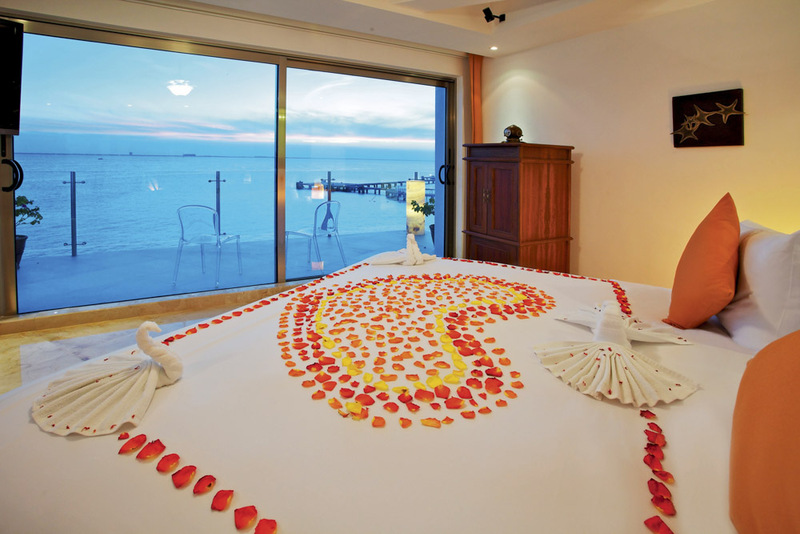 "As a group of 8 adults, we had an amazing time staying at Casa Delfines. Perfectly maintained with all the highend bells and whistles, this was by far the best vacation we have had as a group. The staff was welcoming, professional and so fun. The island itself is a treasure that I look forward to visiting again, and hopefully there will be enough people going that we will stay at Casa Delfines again!"